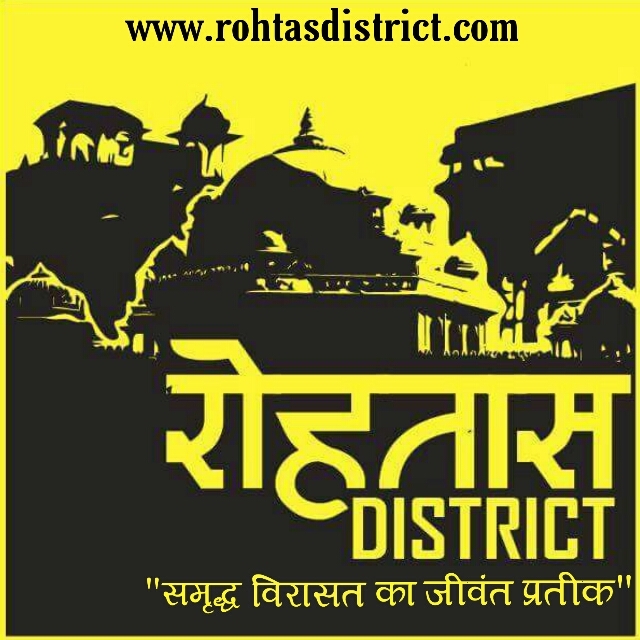 Rohtas District website is founded with the aim of promoting and conserving the natural and archaeological heritages of Rohtas. We endeavour to give Rohtas its rightful place it deserves in modern India. Rohtas district s a place of great historical importance with immense possibilities in tourism sector. We want to bring people of India and the world to come and experience this unparalleled and unharnessed beauty and have a walk down the history. We won’t be only sharing positive stories but also negative in a good way. About topics which must be discussed rather argued. About stories that would make a difference. Rohtas (Sasaram), Ex Capital of India. Now, The Rohtas District is a part of Patna Division, and it has an area of 3850 km² (square kilometres), a population of 2,448,762 (2001 census), and a population density of 636 persons per km². The languages spoken in this area are Bhojpuri, Hindi and English. Rohtas has an old & interesting history. In pre-historic days the plateau region of the district has been the abode of aboriginals whose chief representatives now are the Bhars, the Cheers and the Oraons . According to some legends the Kherwars were the original settlers in the hilly tracts near Rohtas.The Oraons also claim that they ruled over the area between Rohtas and Patna. The local legend also connects king Sahasrabahu with Sasaram, the headquarter of Rohtas district. It is believed that Sahasrabahu had terrible fight with Saint Parsuram, the legendary Brahmin Protector, as a result of which Sahasrabahu was killed. The term Sahasram is supposed to have been derived from Sahasrabahu and Parsuram. Another legend connects the ROHTAS hill to Rohitashwa, son of Raja Harishchandra, a famous king who was known for his piety and truthfulness.The District of ROHTAS formed a part of the Magadh Empire since 6th B.C. to 5TH Century A.D. under the pre Mauryans. The minor rock edict of Emperor Ashok at Chandan Sahid near Sasaram confirmed the Mauryans conquests of this district. In the 7th Century A.D. This district came under the control of Harsha rulers of Kannauj . Sher Shah’s father Hassan Khan Suri was an Afghan adventure, he got the jagir of Sasaram as a reward for his services to Jamal Khan, and the Governor of Province during the latter’s attachment with the king of Jaunpur. But the Afghan Jagirdar was not able to exercise full control over this subject since the allegiance of the people was very lose and the landlords were particularly independent. In 1529 Babar invaded Bihar, Sher Shah who lost opposed him. Babar has left in his memories an interesting account of the place. He mentioned about the superstitions of the Hindu with regard to river Karamnasa and also described how he swam across the river Ganga at Buxar in 1528.When Babar died , Sher Shah become active again .In 1537 Humayun advanced against him and he seized his fortresses at Chunar and Rohtas Garh. Humayun proceeded to Bengal where he spent six months, while on his return journey to Delhi he suffered a crushing defeat at the hands of the Sher Shah at Causa. This victory secured for Sher Shah the imperial throne of Delhi. ” The rule of Sur dynasty , which Sher Shah founded, was very short lived. Soon the Mughals regions the imperial throne of Delhi. After his assassination, Akbar tried to extend his empire and consolidated it. The district of Rohtas was thus included in the empire”The next event of importance which shook the District, was the reign of Raja Chait Singh of Banaras, his kingdom included large part of Shahabad and his control extended up to Buxar.He raised the banner of revolt against he English who had a difficult time. At Chunar and Ghazipur, the English troops suffered defeat and the very foundations of the English power in India was shaken. But, ‘is well known fact that Chait Singh lost eventually.The district had a very uneventful history till we come to 1857 when Kunwar Singh revolted against the British Empire in line with the Mutineers of 1857. Most of the hiroic details of Kunwar Singh is concerned with the present district of Bhojpur. However he mutiny had its impact and produced similar up-rising and incidents here and there. The hilly tracts of the district offered natural escape to the fugitives of the Mutiny. During Independence movement the district had a substantiates contribution to the freedom movement of India. After Independence Rohtas remained a part of the Shahabad District but in 1972 Rohtas became a separate District. Another important symbol of national pride are the parallel bridges built over the Sone River – one for road and another for railway. The road bridge (Jawahar Setu built by Gammon India in 1963–65) over Sone was the longest (3061 m) in Asia until it was surpassed by the Mahatma Gandhi setu (5475 m) over the river Ganges at Patna. Nehru Setu , the railway bridge is the second longest railway bridge in India. tributary of the Ganges originating in Madhya Pradesh. The mountains of the Kaimur Range, which is an extension of the Vindhya Range were heavily forested in recent history, however mass deforestation has occurred due to firewood being used as fuel. The area is highly fertile and due to this is densely populated. The climate of the region is sub-tropical and typical of the plains of northern India, with hot dry summers and cool winters with cold nighttime temperatures. The monsoon is vital for the district as the economy is mainly based on agriculture. Deforestation has led to climate change and has had an environmental impact, with drought becoming more frequent and temperatures becoming warmer. As recently as the early 1990s, nighttime frost used to be common in the winter, however deforestation in the Kaimur hills has had a negative impact. This city is well connected with railway and road. Dehri on sone and Sasaram has big railway station with almost all the major train stops there. This place is well connected with the road as Grant Trunk Road passes through the heart of both of Dehri and Sasaram. Sasaram is well connected with Ara by rail as well as road. In 1982 Rohtas district became home to the Kaimur Wildlife Sanctuary, which has an area of 1,342 km2.